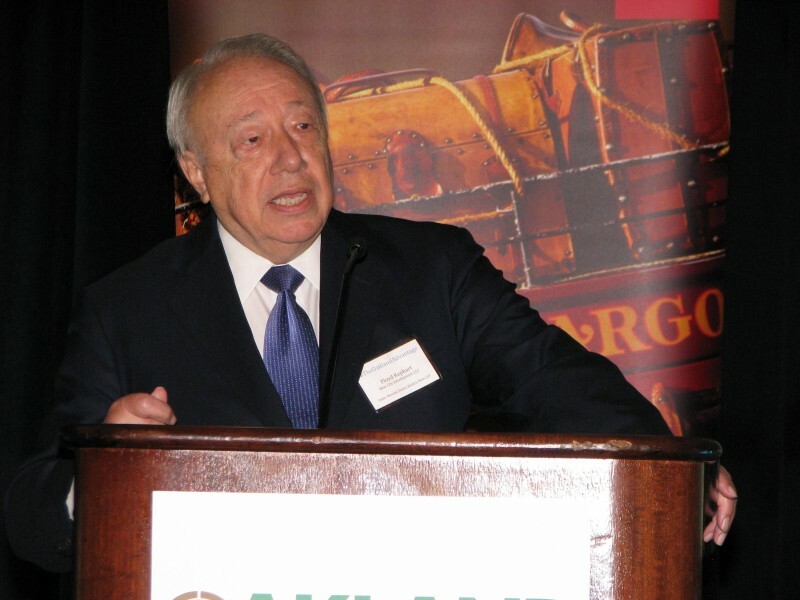 On March 31, 2017, the Oakland Chamber of Commerce held the 2017 Economic Development Summit: Oakland 2030 – Planning Today for Oakland’s Tomorrow at the Oakland Museum of California. The summit kicked off with a presentation from Robert Sammons, Regional Director of Cushman & Wakefield providing a market overview of Oakland. The presentation highlighted the loss of the Oakland Raiders to Las Vegas and of the Golden state Warriors to San Francisco. But, in spite of these developments, Oakland is seeing near record jobs, and, in comparison to other Bay Area locales, is a far better alternative to San Jose and San Francisco in terms of housing costs. For a detailed view of the presentation, please follow this link. Dave Kaval, president of the Oakland Athletics, closed the summit stating the A’s are committed to staying in Oakland and have narrowed down their options for a new stadium to one of four locations. Other speakers included the Honorable Annie Campbell Washington, Vice Mayor of Oakland; Jose Corona, Director of Equity & Strategic Partnerships, Office of Oakland Mayor Libby Schaaf; Michael Bush, Chief Executive Officer, Great Place to Work; Michael Ghielmetti, Founder and President, Signature Development Group; Elizabeth Gonzalez, Portfolio Director, The James Irvine Foundation; and Charlotte Robisch, CAO and Senior VP NorCal Region of Kaiser Foundation Hospitals and Health Plan. 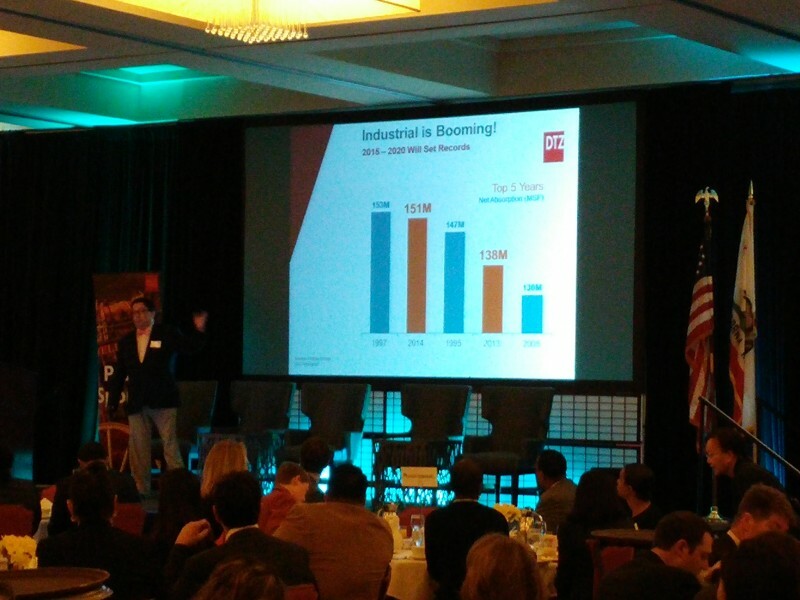 Building on the success of 2015s exploration of what attracts new businesses to Oakland, the Chamber’s 2016 Economic Summit took a closer look at Oakland’s rapidly changing and expanding marketplace. Demand to live and work in Oakland is at an unprecedented high, and with that brings new development and opportunity for new and existing businesses alike. The event explored the reasons why businesses and investors are coming here, and why longtime stewards of our economy are doubling down on Oakland. 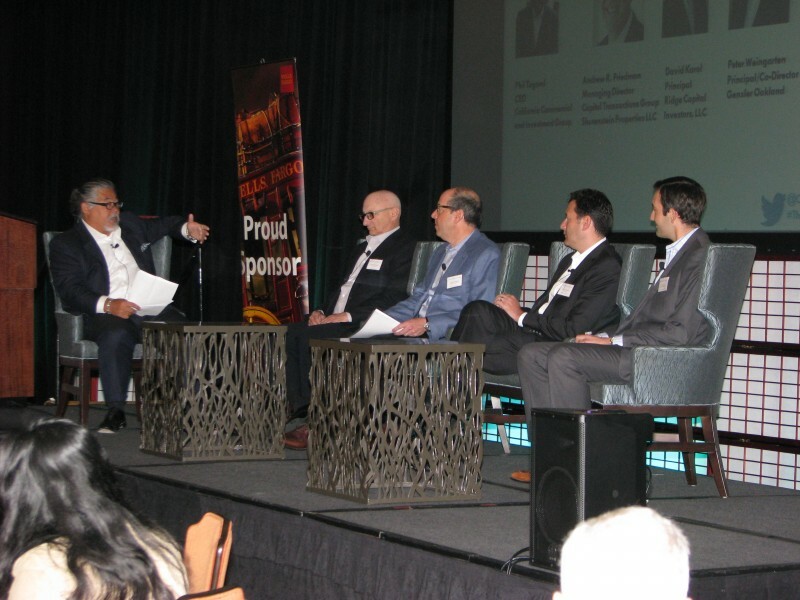 The summit began with a presentation from Robert Sammons of Cushman & Wakefield, with an update on Oakland’s rapidly changing real estate market. 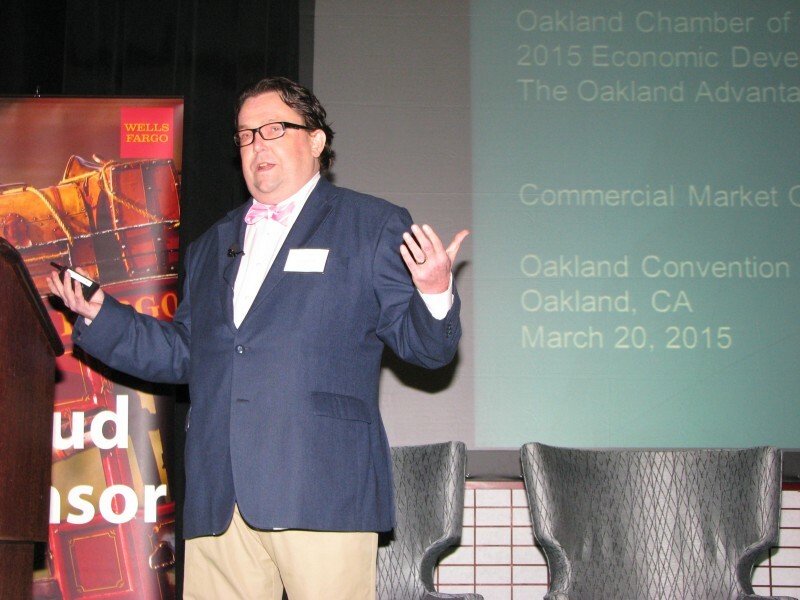 Christopher Thornberg of Beacon Economics presented the much-anticipated annual update to the Oakland Chamber Economic Indicators Report, an annual in-depth analysis of Oakland’s economy. The event featured a panel discussion with representatives from various industries who shares what brought them here, what they hope to accomplish, and what makes Oakland special. The panel included Denis Ring of Ocho Candy, Peter Weingarten of Gensler, Eric Tao of AGI Avant, and Denise Pinkston of TMG Partners. 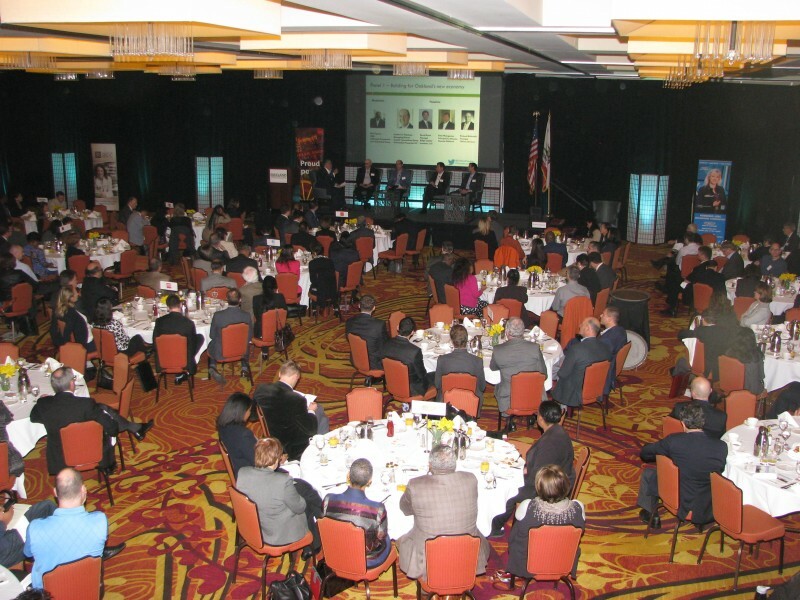 On March 20, 2015, the Oakland Metropolitan Chamber of Commerce held its annual Economic Development Summit, "The Oakland Advantage," attended by over 300 Chamber members and guests, the summit focused on themes critical to the city’s economic vitality. The event brought together a broad cross-section of business, government and civil society leadership as a place to start and grow businesses in Oakland’s New Economy, including representatives of a number of Oakland’s large, medium-sized and small businesses; elected and appointed government officials; developers, nonprofit leaders, representatives of education and workforce development institutions; and representatives of ethnic chambers, press, and media. Moderated by noted Oakland-based businessman Phil Tagami, chief executive officer of California Commercial and Investment Group, the event panel included Andrew Friedman, managing director of Shorenstein Properties LLC’s Capital Transactions Group; David Karol, principal at Ridge Capital Investors, LLC; Peter Weingarten, principal and co-director of Gensler Oakland; and Richard Weinstein, principal at Citrine Advisors. 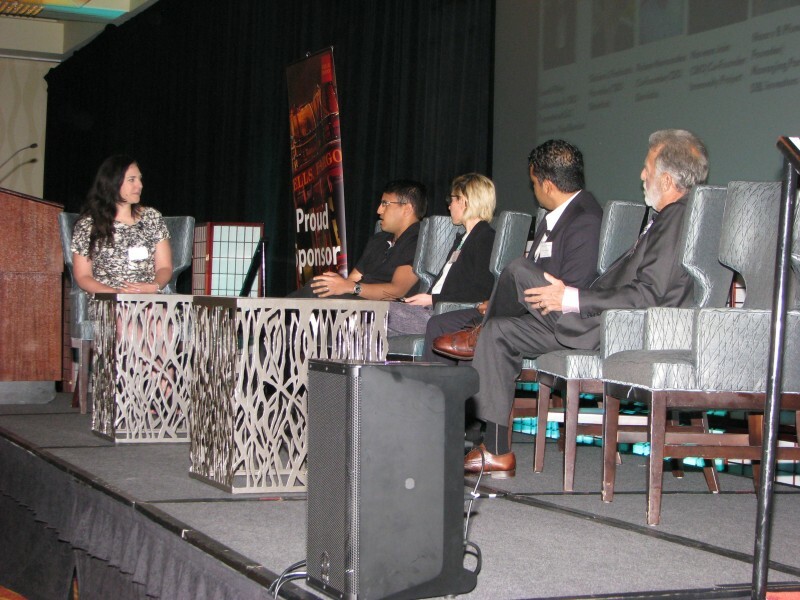 A second panel focused on Oakland’s increasingly diverse array of businesses was moderated by Sarah Filley, co-founder and chief executive officer of Popuphood LLC and advisor to OppSites Inc. The panel included Dorian Ferlauto, founder and chief executive officer of BriteHub; Ruben Hernandez, co-founder and chief executive officer of Devlabs; Naveen Jain, chief marketing officer and co-founder of the Immunity Project; and George Zimmer, founder and former CEO/chairman of The Men’s Wearhouse. 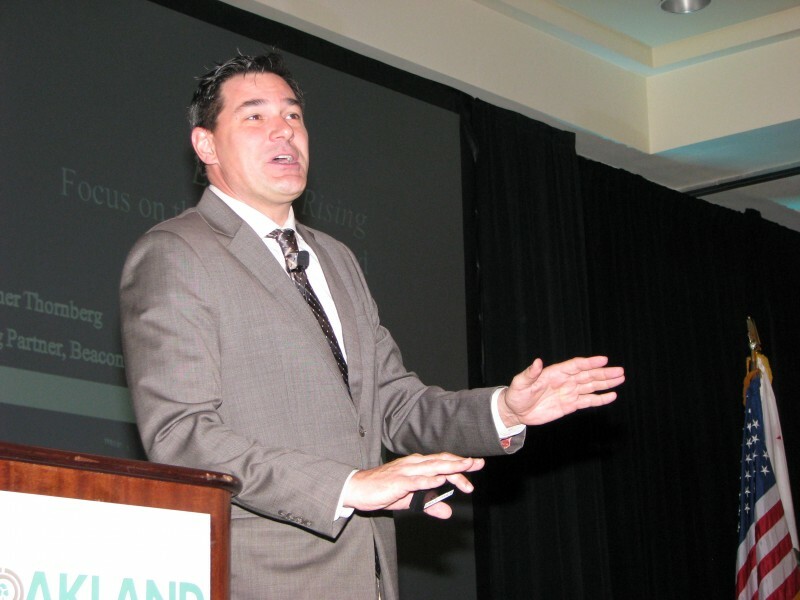 The Summit closed with an informative presentation by Christopher Thornberg, founding partner o Beacon Economics, LLC, who focused on the preliminary findings from the Oakland Chamber District Indicators Project, commissioned by the Chamber. Thornberg presented an overview of key economic indicators at the national, state and regional levels and then presented a compelling exploration of key economic trends and indicators at the Oakland city and city district levels, offering a very granular glimpse into Oakland’s positive economic performance on a district by district basis. The report aimed at uncovering city-wide and district level information as well as economic trends driving Oakland’s expansion. 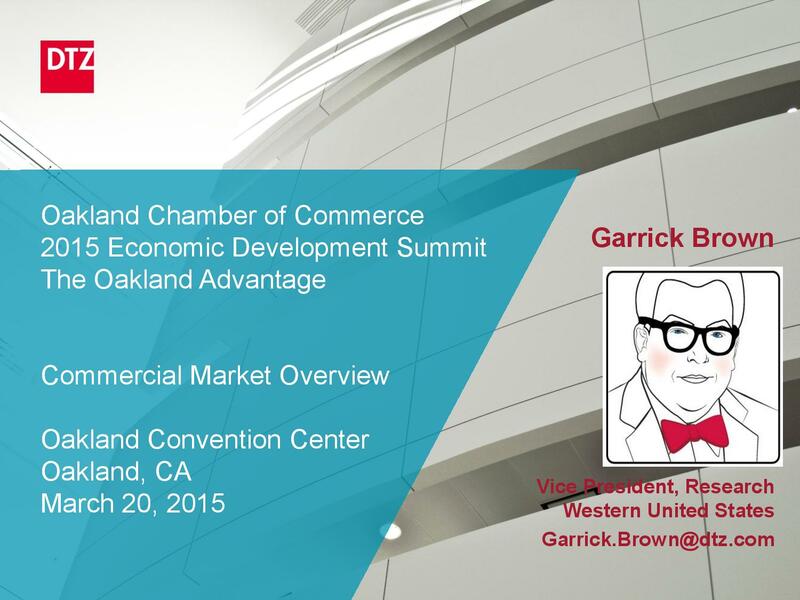 Garrick Brown's presentation at the Summit focused on the implications of economic, industry, and demographic trends on the Oakland and East Bay real estate markets. Click on the image below to download the presentation.